This interview will always remain at the top of the list. It felt more like a conversation with a fellow music lover and less like a formal interview. That combined with my adoration of Sugarland (which comes through in this interview) made it very special. The funny backstory regarding Sugarland is that I came to their music in a way that I have discovered many of my favorite performers, I saw them perform live. It took one show, which I attended at the insistence of my wife, to become hooked. 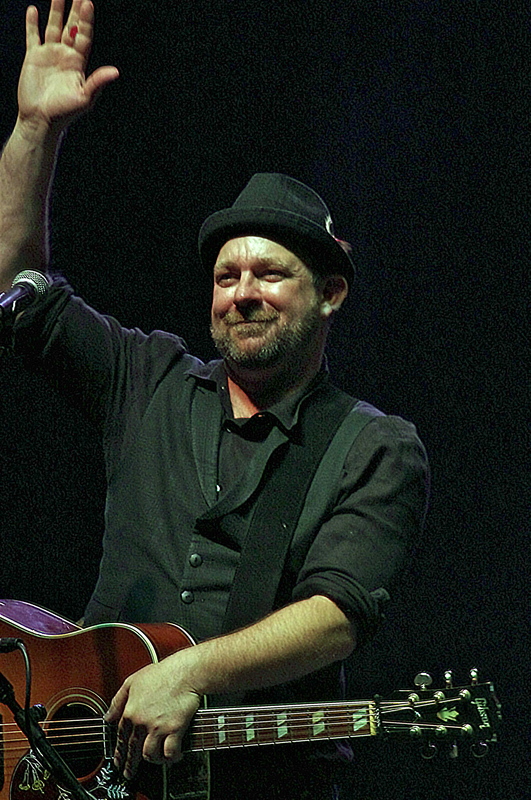 When the duo known as Sugarland went on a hiatus, it presented an opportunity for Kristian Bush and Jennifer Nettles to pursue solo careers, and the result has been extraordinary. 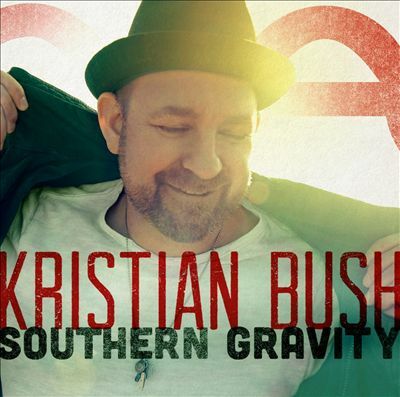 Bush’s solo record Southern Gravity dropped this week, and it has been receiving well-deserved favorable reviews. 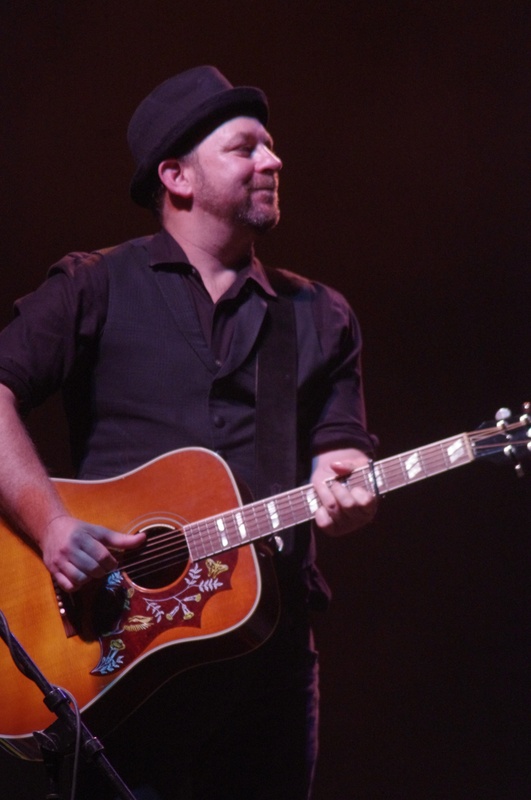 This interview with Kristian Bush was conducted shortly before an appearance in Rochester, NY last fall. It did not see the light of day until now. At the time he was putting the finishing touches on the solo album, the song “Sweeter”, which is mentioned throughout the interview, was part of his Music Mondays, and can still be found on his website, even though it is not on the album. While I typically slice apart interviews, putting small bites in feature articles, I honestly struggled with what to do with this, and felt it needed to be presented in its fullest form. Aside from some minor edits, this is the full transcript of what I feel, and hope you do as well, is an insightful look at a major artist during a creative peak. KB: Hello, may I speak to Thom? 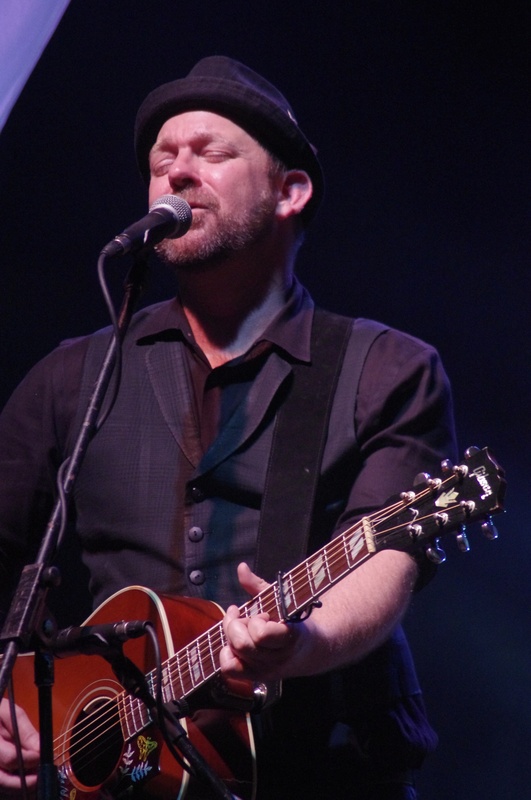 KB: This is Kristian from Sugarland. TJ: Hi Kristian, what an absolute honor, I am a little tongue tied right now, but I really appreciate this opportunity. KB: No, I love it. KB: “Trailer Hitch” has a couple of pieces to it that I really like and I thought might be a great…Hello, my name is…kind of name tag, because this will be the first time that a lot of people have heard me sing. So, I was interested in it, because it has a great groove to it and it also has a really good message on it. I also really, really, really love being on the radio and that feels like a radio song to me. It feels like a song that I hear on the radio. It became kind of the first choice. It is where we start the story, especially if you came to the story from the angle of my most recent band, you know? TJ: Yes, I know and rhythmically you talk about that. I think that is one of the things that I found very appealing about Sugarland, you and I are about the same age. It is just that rhythmic sensibility. On “Trailer Hitch” you hear a little bit of that “Stuck Like Glue” rhythm. You just really want to tap your toes and dance to it. TJ: Let me as you a question about the video first, because the video is just…I mean we see the part that made it, it’s where you are handing out the money and everything. Is there any kind of funny back-stories when you were leading up to do that? It was filmed in Chicago, correct? KB: It was filmed in Chicago and it was very guerilla, you know. We got out of the cab right there at the corner of Michigan Ave, where it hits the river and thank goodness the first person that I saw was a police officer. So, I went over and I said, “Hey, you know I am about to come over here and set up my thing and I wanted to tell you what’s about to happen. First, because I need to make sure, do I need a license to be here?” Like I really wanted to get his permission and he was like, “Oh man, you are Kristian from Sugarland.” I was like, yes and he says, “I’m a huge fan.” So, immediately I thought, well this might go alright. Then I introduced myself to the other street performers. There was a magician there and another guy, they had painted him all silver and he was a statue. I even think he’s in the video, but I told them, guys, I am only going to be here for a little bit, I’m not moving in on your territory, but I have a new song coming out on the radio and I really want to try to communicate with people that this is happening. They were like, “Yes, what’s your band again?” They didn’t know. I figured that there were going to be people that walked by, because it is a very touristy corner, you know? There will be people that might walk by and go, “Wait a minute, that’s Kristian from Sugarland.” Then other people are going to walk by and go, “Well, what’s that guy doing?” You know, there are not going to know at all and I thought, well that is kind of the joy of it. The song itself has kind of this message to it that later on, my hope was that after you hear it about 15-20 times, you stop and you go, “Wait a minute, what’s he saying?” but you enjoyed it so much, just by the way it sounds, the way it feels and the way the melody runs that it just made you happy. So, some of the things you are not seeing in the video are, me trying to get people to take money and they are very suspicious. They are like, “Is there a catch?” because the camera guys that were there, they were just two of my friends and they weren’t fancy cameras, they were just regular 35 mm cameras. They weren’t like movie cameras. TJ: That is like the oldest trick in the book with street preachers or whatever, they hand you that fake $100 bill too, so you probably had a little of that look too. KB: Yes well, people just didn’t know quite what to think and the way that I eventually got people to kind of pay a little more attention, I took some sidewalk chalk and wrote down a couple of things on the sidewalk so as you walked up, you would kind of get an idea of what’s going on, like, ‘please take one.’ Then an arrow point to the guitar case. Then, sometimes if I got people to take $2 or $3 and I just had them promise that they would go over to the coffee shop and just buy somebody a cup of coffee, well then they would totally do it. Almost every time, but some people said things like, “No, no, no, I’ve got plenty” or sometimes they would be like, “What do I have to do for that?” So it was interesting socially as an experiment, but really all I was trying to do was to see what might happen and to make it a little more interesting, because the story of the song. Sometimes in the world, people believe you more when you actually do the things instead of just talk about them. TJ: That’s funny, I think of a song like, Bruce Springsteen’s “Born in the USA,” which is so often subject to misinterpretation. I don’t necessarily see this as a song that is subject to misinterpretation, but is that part of the reason why when you did this, I know there is a lyric video and everything like that and one of the standout lines obviously is, “never seen a hearse with a trailer hitch,” Do you think maybe they look at this as more of something than it really is? KB: I think that, if you were just looking at the title of the song, you might think that it is into some other kind of country music vernacular, than it’s actually talking about. I don’t think people will misunderstand it once they hear it. I think it takes a couple of listens. Everyone is different, how music affects them. Sometimes you just like the way it sounds and sometimes you like the way the beat feels and other times, people listen completely to the lyrics. It is a fascinating, interesting world, how the things that we make, touch each other and I just love how this song touches people. TJ: From what I have read about you, you have studied the Suzuki method when you were very young and it seems like that goes back to that concept the language of music and ear training. So that does really encompass everything as far as the feel of the lyrics and the music and what not. Do you attribute it to the education that you had? KB: Oh yes. I think that when you learn anything by ear, no matter what it is, if it is a language or an instrument, you just have a different relationship with it. I do, I wonder sometimes if there is a way to quantify the experiment of the Suzuki Method when you learn music at the same time your brain learns language. I do feel like I communicate with melodies. TJ: Oh yes, definitely and rhythms too. That’s what’s interesting, the rhythm and the melody are both…I am sorry if I am rambling, but it’s fascinating to me that I am going to be seeing you perform solo acoustic in Rochester, Wednesday in fact, you are going to be performing with Hunter Hayes and a couple other people. I have always loved bands that you can strip everything down to bare bones and it is still just a beautiful song. The first time I saw Hunter was solo acoustic, and I sense Hunter gets that and I think you get that as well. Even without all the bells and whistles, the rhythms aren’t overpowering, but yet they are so infectious. Does that make sense? KB: Yes, well that’s the whole idea. The rhythm isn’t just the drummer, the rhythm is baked into the words. It is also how you say the words that you say. Hunter is very much like that as an artist. He hears how important the rhythm that is being sung is as important as his guitar parts. I think that is always true and it will be fun for you to see. I really turn my guitar into a drum machine. I do a drum, pretty quick. TJ: Well that’d be awesome. I am just wondering, in Sugarland, obviously Jennifer handled most of the vocal parts, I mean, you appeared on stuff on “The Incredible Machine.” I remember your wonderful version of REM’s “The One I Love,” that appeared on the live album, but do you think your vocal chords are getting stronger because you are singing more, or have you had to do anything differently to be able to handle this much singing as opposed to sitting back, playing guitar and doing all that background stuff. KB: Something very special happened in the last 2 years. I became a very prolific writer and one of the parts that most people don’t realize is that, when you write, you are actually singing those songs over and over and over again as you are writing. I started singing maybe 3 or 4 hours a day. Then my voice started to feel like I had more, I don’t know, it just had more to it. I had more range, I had more power and I was just like, where is this coming from? I did a little research and I realized that singers like Eddie Vedder, Bono, and these men, as they hit their 40’s, their voices started to become stronger than they have ever been in their whole lives. I don’t know if that is a testament to work or to health or what it is, but there is something about the richness and the power of the male voice that really comes through, starting at about 40 years old. It took me completely by surprise. I can sing things now, that I was not able to sing when I was 25, in my other record deal. It feels like you have super hero powers or something, it’s a little creepy. TJ: It really comes through in “Sweeter,” that song, your vocal range, you just nail it. I think that was one that really jumped out for me when I heard it and again I heard a little bit of you singing and there is some Billy Pilgrim’s stuff where you’ve got kind of that Indigo Girl’s feel going on and everything, but man, that one just punched me right in the face. I hope that’s a single at some point. KB: Thank you, I am so glad you love it. There is a lot of discovery going on right now with me and it just feels like a dream coming through again. You know, that is all I ever wanted to do, was be on the radio. I am just so grateful where, it is not only a dream that I was chasing, but it’s in front of me and it’s happening for like a 3rd time now. TJ: At what point did you and Jennifer even have a discussion or decide, hey we need to step away from this for whatever period of time, because I saw you on your final tour. I saw 3 days over a 4 day period and you guys were just really firing on all cylinders and you almost wonder how hard it is to step away from something that is going so well, as opposed to maybe when it has run it’s course. KB: Right. In every one of my endeavors as an artist, whether it’s Sugarland or Billy Pilgrim, I have always had a really natural movement to whenever we would hit pause, it was never any strange impetus, but this one was real natural. Jennifer was pregnant and we played our tour all the way up until she had her baby almost. She wanted to put out a solo record and that was a real natural space. Then me putting this out, is just natural. It is just what happened in the time in between. I think the cool part that is interesting for me is, this is not a side project for me, and this is described better as a parallel project, because no one has really heard my voice in country music. On the radio, I can have a single at the same time the band can and that is really exciting for me, because for a guy’s whose dream it is to do this, I do this on my time even when I am taking a day off, because I love it. So it’s exciting for me. TJ: Well, it’s exciting when it’s from a fan’s perspective too. You know, Jennifer’s album, incredible, and I got to see her live, in July I think it was and what really struck me was how she really avoided just being a solo artist going out doing a show packed with her back catalogue with Sugarland. Even when she did Sugarland material, it was a unique version and it appears that you are having the same approach. I can only imagine, that when the time comes and you both go back to the table that something absolutely beautiful is going to happen. I don’t know when it is going to happen, but even if it doesn’t happen right away, that’s okay too. KB: Yes and there is plenty of music and there is plenty of joy and I think the fun part about that is that I fit in similar excitement that you just described. Can you imagine what that record is going to be like? That is cool, I can’t wait to hear that. TJ: Yes, I mean, “The Incredible Machine” was a phenomenal album, I mean the growth of the band from album to album is just something that you don’t see very often. It is funny, I think of a guy like Hunter Hayes that you are going to be performing with and you are starting to see that at the beginning of his career as well, which is kind of cool to watch. It seems like there are bands that are formula bands and that just kind of stick with the same thing and I think that is what separates the musicians that play for the love of music and the corporate artists. KB: You know what’s funny, the way I always describe that to people is, you know I take it very seriously; I have had a number of record deals in my life and I look up to a lot of bands and I watch how they do things, I study it and I ask questions and I get interested and I am just a real fan of music and I am a fan of how people tell their story. Not just within a song, but also within an album or over 3 albums. It’s always interesting to me, to not just tell the short story, but to tell the long story. Evolving a band over multiple albums is telling a long story and you rarely get that kind of experience in your life. I am very, very lucky to have had that experience multiple times, you know, over 8 and 10 year periods and I am extremely proud of the work that I have done in Billy Pilgrim and in Sugarland of constantly asking the question, regardless of what the answer is, is, what song on your album points to the future? Because there is 1 track and I know it as an artist that when you recorded it, you were like, this isn’t going to fit on this album, but it feels so right, which means, this is where we are going. You put it on the album anyways and it is probably an outlier and people were criticizing it and say, this is where you were wondering, except, that is where the next album shows up. It is down that rabbit hole and I love seeing other bands do that. The way that I have always imagined my job, is that, you know how you have to fill out paperwork at the doctor’s office or wherever it is that you are applying for a home loan or something and they ask you your occupation and I always write in ‘Recording Artist,’ because I think that’s the job. TJ: Yes, I think what’s interesting, I do a lot of interviews over the course of the year, because we have a lot of shows come to the area and I am really surprised at how many artists have completely given up on the songwriting and recording process, they have just completely discounted that point in their career where you almost go, well, how did you manage to crank out an album a year for all those years and now there is nothing left in the tank? It’s like you are taught, well now, you have the whole Music Monday thing and as you said, you are just cranking out songs. Can you even imagine getting to a point where there is just nothing left? KB: Oh my gosh, no. I think that is why I am stacking 2 record deals on each other at the same time is, I am having the opposite problem. Which is, I can just stand at the song gas station and fill up tanks as they go by. It’s like, well I guess I can go 2 at the same time or I will never get these songs out. TJ: Yes, I mean, I said I was reading about you and where you are writing songs is just incredible and that one article I had read about what you had eaten something and then wrote a song about it. I thought to myself, man, this is a guy who is always writing, that is really cool. KB: It’s pretty fun man, I have to say, and I love it. TJ: One last question, just to kind of wrap it up. It was funny, I really didn’t make the connection until I was watching an interview, prepping for this one. You came from the same hometown as Dolly Parton, who really is an iconic performer and a great, happy performer. I know that you are in Atlanta now and you kind of hear that REM influence and that all makes sense and I know you mentioned the Replacements and all that, but Dolly Parton really does seem to have an impact on you musically and now that I know your roots, I really hear her in your music. KB: Yes, isn’t that cool? I try to explain that to people and I’m glad you picked up on it, because I think there is something about being from that part of the country that, you know there is so much poverty up there is so much beauty of where I come from. It’s not the most economically forward part of the world, but it is one of the most beautiful parts of our country and it has a long tradition of family and integrity and things like this, that you kind of grow up with. I have just always looked up to her, because she is always positive and so am I. So I model myself that way and she writes her music and it has to be very authentic to her and the same goes for me. I am also terribly grateful for all of these opportunities because of where I come from and I see that in her all the time. So if you had to pick a person to model yourself after, she is a great one. TJ: It is funny, I stumbled across a live recording of hers from around the 1970’s and I was like, I throw this thing on my IPod and I’m like dang ,she is a great live performer. Just like Sugarland, like you said, there is just a lot of that positivity, but eve some of those themes, like “Baby Girl” certainly would have kind of a Dolly Parton theme, that happiness even it’s a difficult subject, it still feels good. “Trailer Hitch” is in some ways a very heavy song. Its talking about a lot of things, economics and materialism, but it’s a fun song at the same time. KB: Yes, I love that you have connected those dots. That is really exciting for me. I agree, a happy song is harder for you to write than a sad song, it’s just the truth. I always tell people, we can sit here and wallow around in our sorrows or we could try harder. I do my best, don’t always do this, but I do my best to pay attention to what I’m asking the world to duplicate and replicate and listen to. If I am asking strangers to listen to a song, I really want to be doing my best to launch forward a melody, a rhythm, or a lyric that is somehow going to make your life better. If you are going to share the next 3 minutes with me, I want to do my best to help, whether it’s give voice to a tragedy that you’ve been through or give voice to a small part of your heart that needs to be unlocked, that needs to be brighter or to just make your hips move. (laughter) Sometimes that can just make your day better. I take that responsibility very seriously when I stare at the possibility of millions of millions of millions of people listening to a song, it is much less about me and it is much more about you. TJ: Well, it comes through. From a fans perspective I can’t count how many times your song comes up on, whether its in my iPod mix or when I am running a marathon or something like that, it’s just, I’ve got to turn it up and I always feel good about it. I tell you, some shows that I have seen of yours, the one at Syracuse Fair, where you recorded the Bob Dylan cover, just remains one of my most treasured concert memories ever, but to me, that’s an artist having respect for the audience and the audience having that synergy. It’s not me paying you for a show or you putting on a show for me, it’s us sharing it together. KB: Yes well, you’ve got your finger on it, that’s exactly what I do and why I do it. TJ: Again, I can’t thank you enough. As I said, it’s been quite an honor. I was really hoping that I would land this interview and this is one of the big ones. Now tied with Aretha Franklin, Aretha Franklin was pretty cool. KB: That is so cool. Are you going to be at the show? TJ: I am, yes. I am very excited because I get to see both of you this year. I got to see Jennifer, man she sounded great, she just put on a wonderful show and I am really excited to hear your stuff. I am hoping you come back with a full band. TJ: I mean, these Guitars and Stars shows are a lot fun, but they are fleeting you know. You are probably going to do maybe 3 songs. KB: Yes, I don’t know what their structure is, but yes you need to come see a full band show, it’s a very joyous experience and it’s very loud and you dance a lot. TJ: Yes well, that’s my kind of stuff. You know, Sugarland is so far outside of the box, of the type of music that I listen to, but anybody that I have talked to, I’ve just said, ‘look, there is just nothing about this band that I just can’t not love,’ because I man, it’s just amazing. I think, when the Music Monday stuff started coming out, I was probably like a lot of fans, kind of going out and saying, wow this will be interesting to see. See, when I see an artist branch off is, you can figure out which part they contribute to the group dynamic and as I said, I can totally hear that rhythmic sensibility, that pull. You would think that the Dolly Parton would have come through Jennifer, but it really does come through you, which almost seems counterintuitive, you know. KB: Well, that’s the best part, when you start to figure out the DNA of a band, you go, oh, oh. TJ: Yes, you know, I have never looked at it as the DNA of the band, but yes it is. It’s just, I don’t know, I just think it’s phenomenal. To me the more music and like you said, the recording artist, I mean, it is great to see a band live, but there just comes a point where you just need some more, you need some new music to add to your arsenal. I don’t necessarily care if it’s you or if its Sugarland or Jennifer solo, it’s all coming from the same well and it’s all beautiful. TJ: No, but let me think about it. You know Paul McCartney is doing 3 hours and some odd minutes and the guy is still putting out albums at the age 72 and they are just…I don’t know if you have ever seen Paul McCartney live, but it’s just amazing. KB: He just keeps going. TJ: Yes and he is still putting in new songs into the set, so there is still that excitement and everything like that and I don’t know. I think that’s what I said was cool about your last tour, was that you were able to mix up that middle section of that set and throw in some different songs each night, which just made sense, because you were just at that point in your career where it’s just like there are so many different album cuts that its just like, you almost hate to put this in at some point, but they don’t necessarily make sense to play every night. KB: Well, that’s what’s fun about that tour, it took a lot of convincing. KB: For me to get everybody to learn that many songs, but I really loved that it happened. TJ: I caught 3 shows in 4 days. I saw the 2 in Niagara Falls, Canada and the opening night in some town in Ohio, I can’t even remember, but my wife did this huge sign requesting “Joey” and you did it the second night and that is the story she always tells, while out with friends. KB: That’s awesome. Well, that’s the whole reason while we did it. Everything that we did and everything that I do in my career is based on a really simple, kind of filter and the filter is, if it was me and I was a fan and it is my favorite band, what would blow my mind? Well, if I made a sign and put my favorite song up over my head and the band came up and said, “okay” and played it, my head would explode. That to me, is the exact reason why you do it. That’s why we do Music Monday. What if my favorite band was writing so much music and I wanted to hear it, but I was going to have to wait for a record, right? Instead of that, what if they just put a song out every Monday and I got to hear it? I would lose my mind. At some point, I actually got to listen to the outtakes for the Police’s “Synchronicity”, because Hugh Padgham was producing the album I was working on and it blew my mind. He said, here, check out this cassette and I put the cassette in and these were the outtakes that didn’t make the record and my brain exploded. TJ: You know its funny, because people collect that stuff, because they love the artist and I think a lot of artists feel that it is throwaway material, but it isn’t to the fans. KB: No, it’s not. I think, to be a good artist, you have to be a good fan. TJ: You know, I couldn’t agree more and as I said, it definitely comes through. It is just very cool. That Music Monday thing as I said, is very, very cool and it totally defies convention, but to me, that is a respect artist fan. Here it is, I’ll put it out. You know what, eventually, if you are going to buy my albums or go to my concerts, that’s cool, but in the meantime let’s do this and to me that shows the difference between corporate protective, if somebody downloads it, we are going to prosecute. Hey, The Grateful Dead, let people come in, record our material, but boy, one of the most loyal fan bases in the universe. KB: Yes, I think they do, to the next 10 years is the age of the fan. TJ: Well, as I said, it is very exciting. Is there a drop date for the full solo album? KB: They haven’t told me yet, I think there might be, they just haven’t revealed it to the artist. TJ: For what its worth, that song “Sweeter,” the visuals of you, your daughter and that love and everything like that, is really just going to resonate with the whole known universe, anyone that has ever had a child, male or female. I think that one is just out of the park, just a lovely song. KB: Thank you, thank you very much. I love that song and my daughter is the coolest person I think that I have ever met. TJ: Yes, I have 3 sons and get it you know? It’s like the kids, I don’t know, money, fame, and everything else, kids are still just the best. My youngest is 20, my kid texted me yesterday and said that he is going to graduate college a semester early. It is just cool that my kid texted me that stuff at age 20, you know. KB: That is so cool. KB: Well, thank you so much my friend. Thank you for writing about me, come see the show and I can’t wait to shake your hand if I get to. TJ: Okay, yes that would be great, thanks so much for all the great music and man, that whole Dolly Parton stuff I thought was very revelatory on my end and I am glad I wasn’t off on another planet on that one. KB: No, you actually hit that one right on the head. TJ: All right, well very cool. Have a safe trip up to Rochester, New York and I tell you, that crowd and that radio station, WBEE, they are just wonderful people and you are going to have a great, great attentive crowd for that show. KB: Awesome, I can’t wait man. TJ: All right. Very cool, we will see you next week then. KB: All right, bye then.